Stuffed cabbage rolls exist in almost every cuisine, but are especially prevalent in Central and Eastern Europe. No matter the origin of your recipe, to make stuffed cabbage rolls you need to soften and separate the cabbage leaves leaves first, which are very firm and tightly bound to the head. This usually requires a separate step, adding time and effort that you may not have budgeted for. Luckily, there are some easy methods for removing the leaves of a head of cabbage that will save you time and aggravation. The traditional technique for removing cabbage leaves is blanching the whole head of cabbage, but there are two easier and safer ways to do it, including freezing and microwaving. Each method has its pros and cons, so once you learn the processes you can decide for yourself what will work for you. One of the most tedious aspects of making cabbage rolls is blanching the cabbage head in a pot of boiling salted water. First, you need to have a pot large enough to accommodate the size of the head of cabbage and fill halfway with water (since the cabbage head will displace the water). Test the amount of water needed by placing the cabbage head in it before you heat the water; you need enough water to cover the head but still leave an inch or two of free space at the top of the pot. Otherwise, you could end up with boiling water overflowing, or not have enough to cover the cabbage. Next, you need to stab the core of the cabbage with a large serving fork so you can safely move it in and out of the pot, which you will do several times. It takes a minute or two for the outer leaves to soften, but the inner leaves will take longer. Once the outer leaves have become soft, remove the head from the water and trim off these leaves and set aside; return the head to the boiling water to soften the next layer. You need to repeat this until all layers of leaves have softened and you reach the core. If the whole idea of removing and replacing a large head of cabbage into and out of hot, boiling water doesn't appeal to you, there is a much easier method. With the help of your freezer, you can put the boiling pot away and have rollable cabbage leaves as soon as you defrost the frozen head. The first step is to remove the tough outer leaves of the cabbage; then rinse and core the cabbage. Pat it dry and place the head in a zip-top plastic bag and freeze. (If you have more than one head of cabbage, place each in a separate zip-top bag.) When ready to use, defrost the cabbage and the leaves will peel off easily. This is due to the fact that cabbage holds water, so when it is frozen and then thawed, it releases the water to make the leaves wilt. Freezing is a far safer method than blanching. You won't be placing a head of cabbage in a boiling pot of water and removing it every minute or two, which will result in hot water splashes. It also means you can do the entire leaf removal at one time and not in stages. A disadvantage of this method is that you will need to plan ahead to freeze the cabbage and then allow time to defrost it. It will take a few hours for the head to freeze, which is needed to soften the leaves, and then you will need another couple of hours of defrosting time. You can try to speed up the defrost time using your microwave on defrost setting. We may just think of the microwave as a quick-cooking method or to simply heat up food. But when food is placed in the microwave with a bit of water, this cooking appliance turns in to a steamer. So, in just 20 minutes or so, you can have a cabbage ready to roll. All you need to do is place the head of cabbage core-side down in a microwave-safe dish. Add 1/2 cup of water, cover, and cook for 10 minutes on the high setting. Then, using a sturdy fork or tongs, turn the cabbage head so the core is facing up; microwave on the high setting for another 10 minutes. Remove from the microwave and allow the head to cool until it is safe to handle. 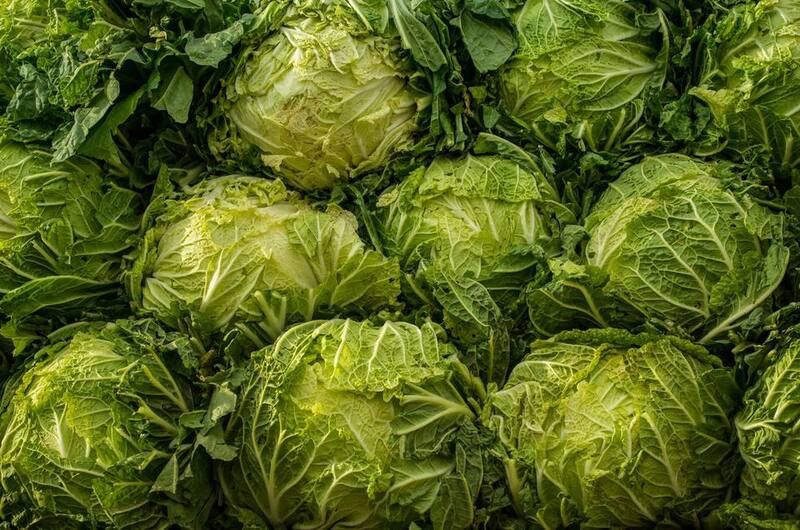 Depending on the strength of your microwave, something as dense as a head of cabbage may not cook evenly and you might discover some of the leaves aren't cooking as quickly as others. This will require you to remove a few leaves to test for doneness and then put the head in the microwave for additional cooking time.